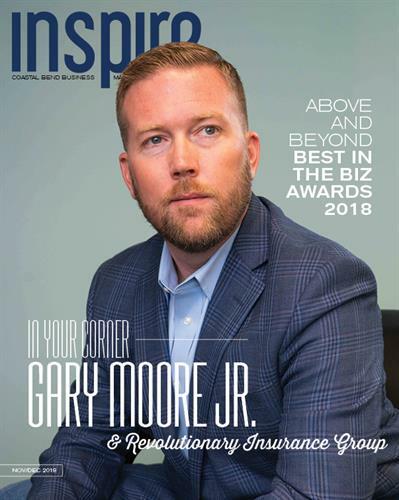 Honoring Gary Moore, Jr. of Revolutionary Insurance Group featured on the cover of Inspire Coastal Bend Business Magazine. The community is encouraged to attend. The Coastal Bend's premier networking mixer.